On February 16th, 2011 we brought you the news concerned with Audi’s plans of bringing Audi Q5’s new variant Audi Q5 2.0 TDi to India and recently Audi accomplished its mission by finally launching the same in the Indian Automobile market. The compact SUV looks irresistible and does make its buyer feel special in a number of ways. From the exterior design to the class leading convenience and safety features, all draw your attention right away. In fact we find the car way better looking and sportier than the BMW X3(yet to be launched in our market), Volvo XC60 or even BMW X5. 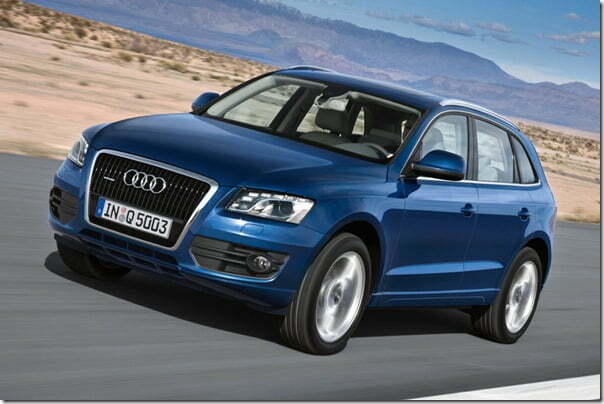 So the bottom line remains that Q5 simply stands out against the crowd and carries its own aura with it. As expected the compact SUV has been priced at Rs39,05,000 (Ex-showroom Maharashtra) which offers a great value for money so if you are planning for an SUV, this car should be on your list.